Anime Ltd. acquires Gakuen Basara: Samurai High School. Simulcasting to UK & Ireland now on Crunchyroll. We’re just a few days away from the buildup to Christmas kicking into high gear – i.e. the start of December – but today we’ve got a little early Christmas present for you as were happy to announce we have acquired the series Gakuen Basara: Samurai High School. If you’re not familiar with the series, fret not as we’ll bring you up to speed below. Synopsis: Based on the popular video game franchise, Segoku Basara, that has also had anime series too, this is a high school spin off that sure to get your blood pumping. The series is currently airing in Japan, with eight episodes (at time of writing) having been broadcast, and (though we know some of you eagle eyed people may have caught wind of this news already,) we’re happy to confirm that UK & Ireland viewers can catchup on the show and watch new episodes each week via a simulcast from our good friends at Crunchyroll. The first 8 episodes are available to watch right now, with new episodes being available at 2am (UK) every Saturday morning. And for those you wondering, this is a title that will be receiving a home video release from us in the future too! But given the series is still currently airing it’s really far too early to be able to give a proper estimate on when this may be, so we ask to please stay tuned for updates as we can bring them. 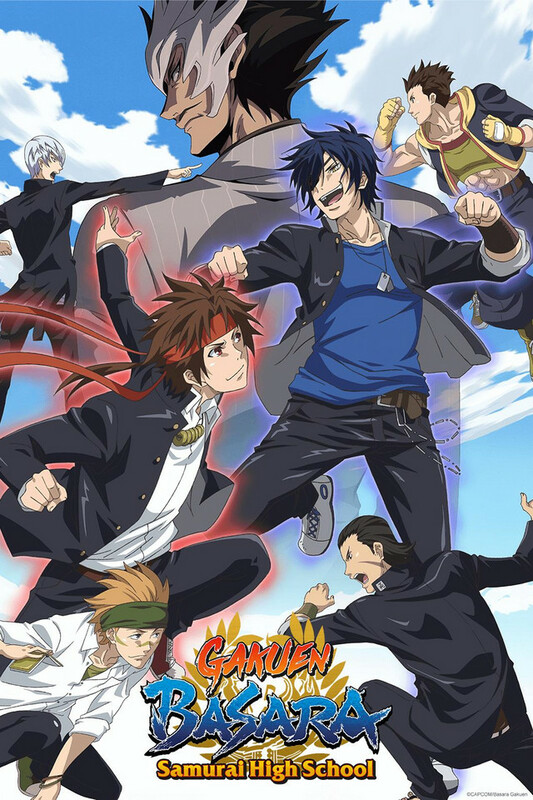 Make sure you checkout the simulcast of Gakuen Basara: Samurai High School today at Crunchyroll and let us know what you think of the series.